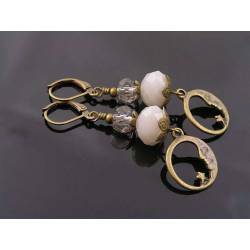 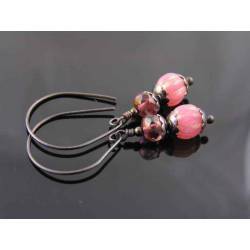 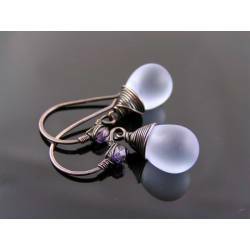 Czech glass drop earrings with hand made, wire wrapped ear wires. 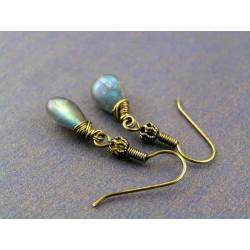 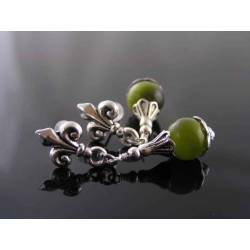 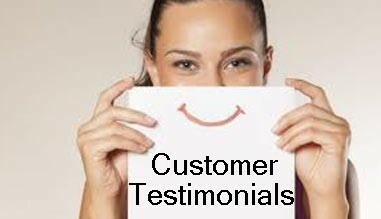 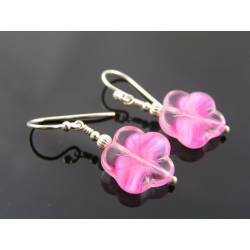 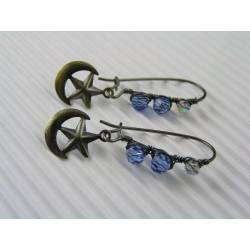 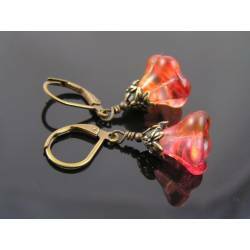 These earrings are small, vibrant packages for your ear lobes. 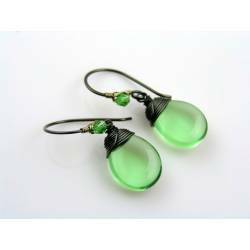 The Czech glass drops are amazing. 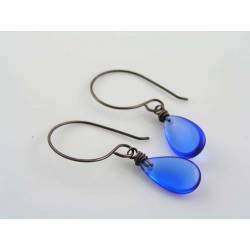 You wouldn't think that they are glass at first. 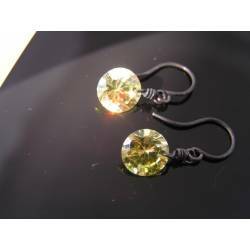 I added a sparkling topaz coloured Swarovski crystal to the handmade and wire wrapped ear wires and oxidised all metal to a near black. 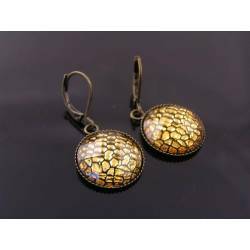 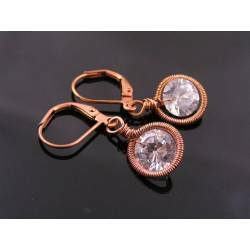 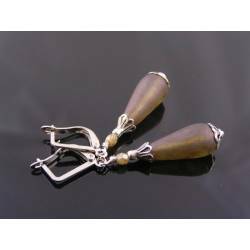 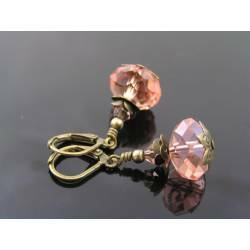 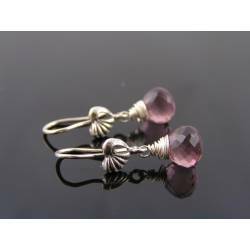 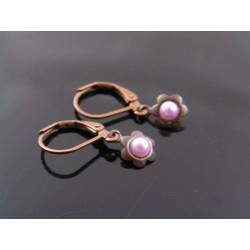 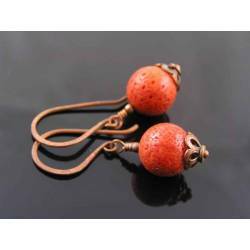 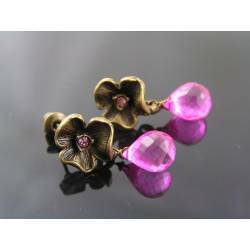 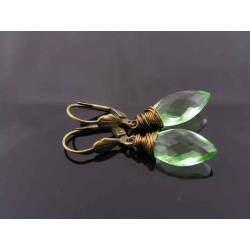 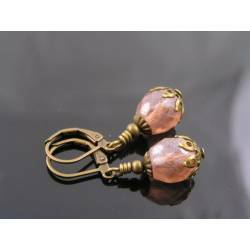 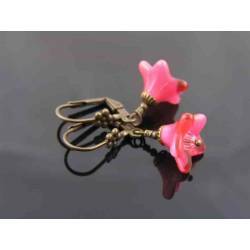 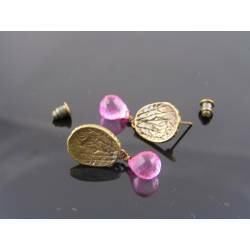 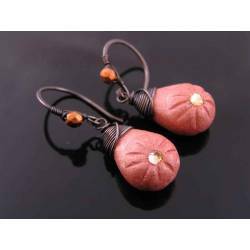 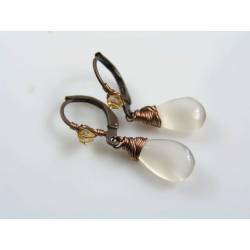 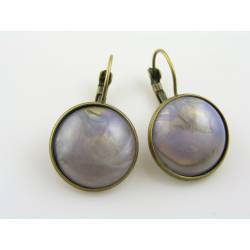 Made out of solid copper, the earrings measure 32mm in length, they will come with clear rubber stoppers to prevent loss.